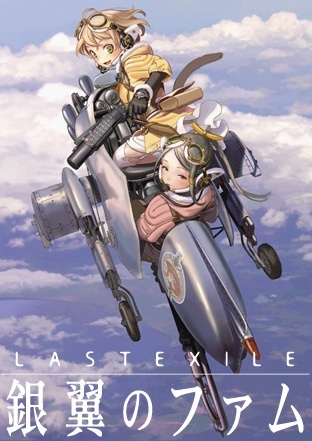 Last Exile: Fam, the Silver Wing is a new original tale in the Last Exile universe. It features new characters, new mechanics and an all new story centered around the young ace vanship pilot, Fam, and her trusted navigator, Giselle, as they pilot their vanship, Vespa, through the free and peaceful skies. For some reason Commie stopped releasing the episodes, so I'm switching to SFWhine, and they use a different numbering system because of the recap episodes.